Multiple protection levels in single-skin apparel. 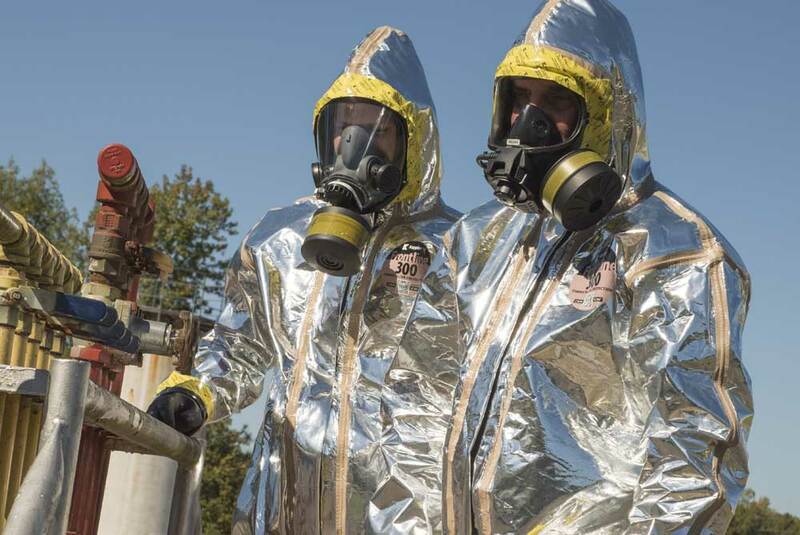 Those who work in hazmat response or petrochemical environments know that protection against chemical flash-fires is a must. That's why Kappler developed the Frontline family of fabrics, with a combination of broad chemical holdout plus flash-fire protection. Finally, a true “Splash and Flash” solution — Frontline® 300 is ideal for petro-chemical line break situations. 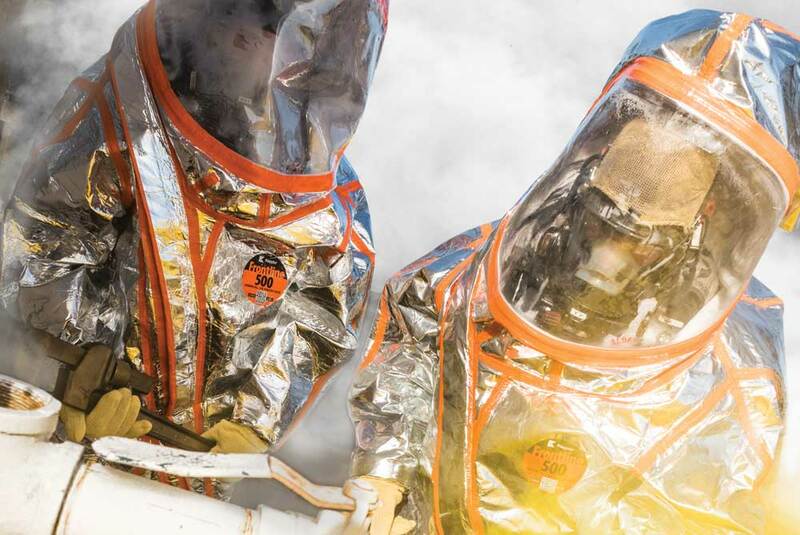 Developed with detailed input from petrochemical Safety Officers, this garment offers a single-fabric solution for combined chemical-flash fire protection. Now get triple assurance with a single suit certified to NFPA 1991. Frontline® 500 offers three-way protection — broad chemical holdout, plus flame resistance and radiant heat protection for the additional hazards encountered in a chemical flash-fire.